Connecting Washington to the power of poetry. The Washington State Poet Laureate serves to build awareness and appreciation of poetry — including the state’s legacy of poetry — through public readings, workshops, lectures, and presentations in geographically diverse areas of the state. The appointed poet laureate serves a two-year term. In April 2007, the Washington State Legislature passed a bill that recognized the value of poetry to the culture and heritage of the state by establishing the Washington State Poet Laureate. The poet laureate is sponsored by Humanities Washington and ArtsWA, with the support of Gov. Jay Inslee. The position is funded by the National Endowment for the Arts and Humanities Washington. Poets can self-nominate every two years through an application process. 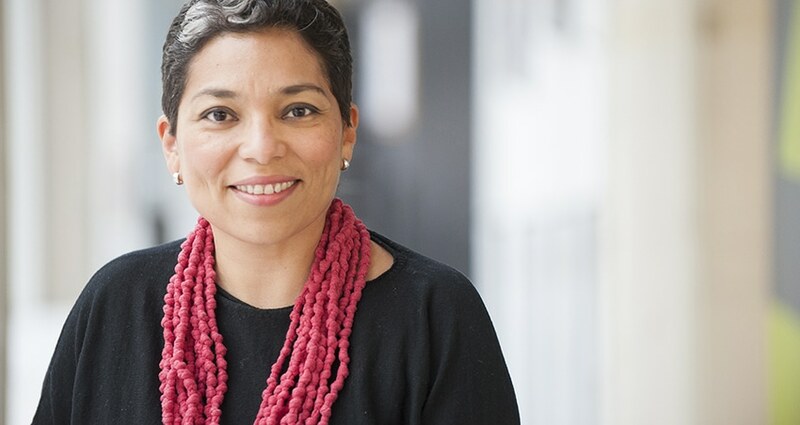 The current poet laureate is Claudia Castro Luna, who assumed the role February 1, 2018. Castro Luna fled war-torn El Salvador for the United States at the age of 14 with her family, and went on to earn an MFA in poetry and an MA in urban planning. After working as a K-12 teacher, she became Seattle’s first Civic Poet, a position appointed by the mayor. In that position, Castro Luna won acclaim for her Seattle Poetic Grid, an online interactive map showcasing poems about different locations around the city. The grid landed her an interview on PBS NewsHour. She is the author of the poetry chapbook This City and the collection Killing Marías. She succeeds poets Tod Marshall (2016-2018), Elizabeth Austen (2014-2016), Kathleen Flenniken (2012–2014), and Sam Green (2007–2009). Learn more about past laureates here. Read Castro Luna’s blog at wapoetlaureate.org, and follow her on Facebook and Twitter. To get in touch with Castro Luna or book her for a workshop or presentation, email poet@humanities.org.